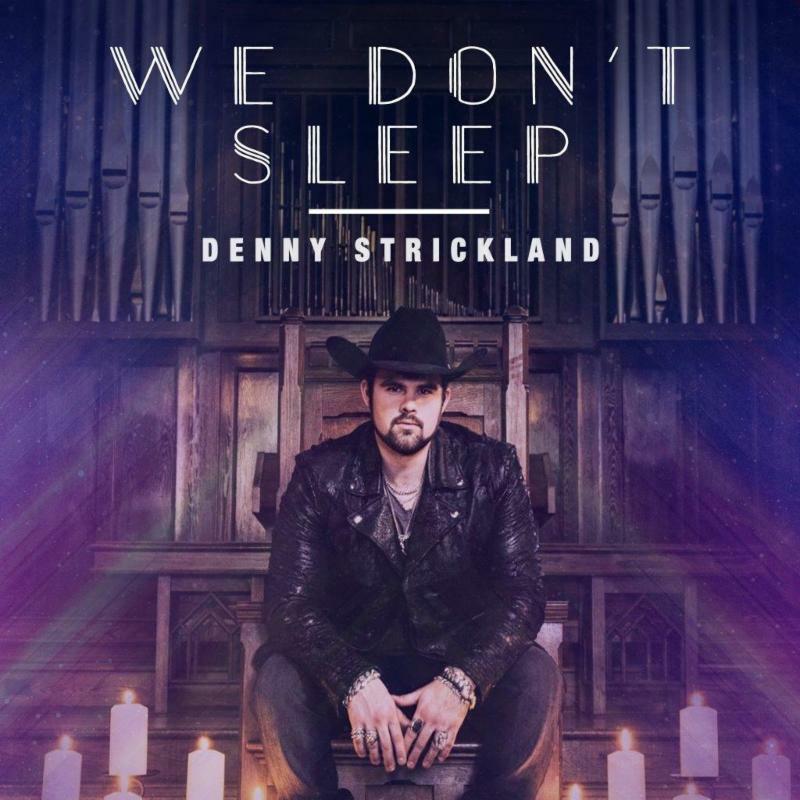 Denny Strickland's New Single "We Don't Sleep"
Nashville, TN (February 6, 2017) - Denny Strickland keeps the heat on with his newest single, the suggestive and steamy "We Don't Sleep." The track officially premieres today on The Boot; radio can access the tune via Play MPE and CDX, and fans can pre-order their copy HERE. Denny will debut "We Don't Sleep" to Nashville insiders during Country Radio Seminar with a full-band performance at The Listening Room's Fresh On The Row show Wednesday, February 22 at 3 p.m.
Strickland and Sean Giovanni co-produced the song, which was written by hitmakers Jaida Dreyer, Cole Taylor, Tommy Cecil and Jody Stevens. It is the first release from Denny's upcoming CD, CALIFORNIA DREAMIN'. Strickland's wide range of artistic influences is on full display here, but it's a cohesive sound that should resonate with the eclectic music fans that form Denny's core audience. Giovanni notes their production goal was to give listeners the "structured depth of a Pop/Country record along with the emotional impact of a live band feel." Sean adds, "It's a sonic roller coaster." For Denny, this was unexplored territory. "I think my fans will love it. We're thrilled with the result," Strickland says. "We Don't Sleep" follows Denny's three previous MusicRow CountryBreakout™ Chart hits: the full throttle "Swerve On," the driving "How Far You Wanna Go" and the grinding "Get A Grip." The "Get A Grip" video premiered on VEVO to over 18 billion viewers. The clip has enjoyed over 500,000 YouTube views to date and won the International Hotdisc award for Best Video in 2016. Denny's early career was guided by The Statler Brothers' longtime manager (and Bass player for Johnny Cash), Marshall Grant. Strickland soon found himself sharing the stage with legends Kris Kristofferson, Rosanne Cash and George Jones. With Grant's passing in 2011, he took a brief hiatus; regrouping and refocusing his efforts. He reignited his music career with the memorable MusicRow CountryBreakout™ Chart hit "Swerve On," and quickly became an "artist to watch." Strickland has since opened for many of today's biggest stars, including Maddie & Tae, Jamey Johnson, 3 Doors Down and The Kentucky Headhunters. Denny secured his first taste of international fame with his acoustic cover of Conway Twitty's "I'd Love To Lay You Down," which earned him a staggering four-weeks at #1 on the Hotdisc Chart. He has hosted the syndicated television show Country Fix, enjoyed sold-out shows during CMA Music Festival 2016 week and played venues from intimate night clubs to arenas. His two acoustic video series (The Dive Sessions and The Cellar Sessions) have won both fan and critical acclaim. Denny is an accomplished guitarist, keyboardist and American Quarter Horse Association horseman.